As a kid, I remember there was nothing better on a hot Summer’s day than an ice-cold glass of fresh lemonade. Twenty some odd years later, nothing much has changed. As an adult, I still crave an ice cold glass of the refreshing drink whenever the heat arrives. 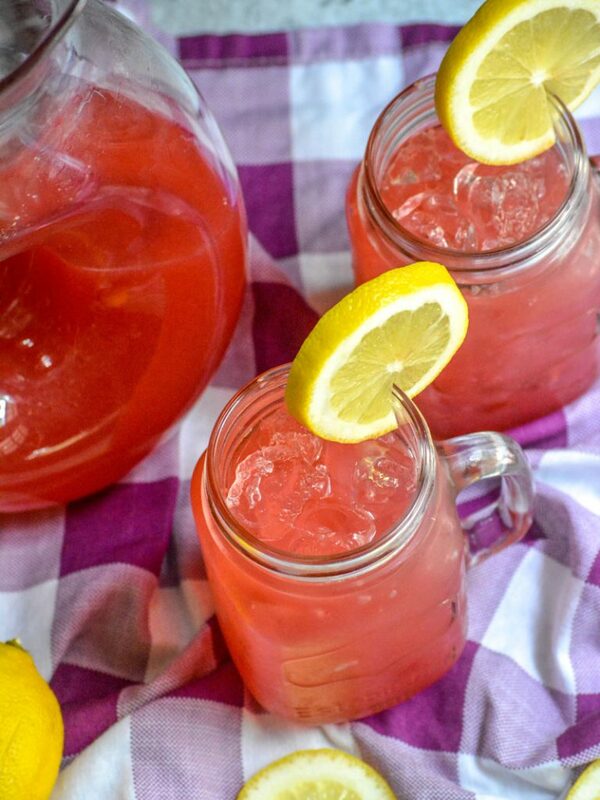 This version of our Blackberry Lemonade is my favorite new twist on the classic. It’s a delicious new way to enjoy the Southern staple, and embrace another seasonal staple for Summer- the blackberry. So let’s talk about the recipe. It’s simple, sweet, and just a bit tart. It’s my new favorite Summer sipper. It’s bound to be your go to as well, especially after you discover how easy it is to whip up. First, we start by mixing up a simple syrup. A simple syrup is basically an equal parts mixture of sugar and water, brought to a boil and then removed from heat and stirred until the granulated sugar is completely dissolved. This needs to be left to cool completely. To a blender, we add those ripe, fresh blackberries and the tart lemon juice. Blended until smooth, this mixture is then poured through a small veined sieve to separate the juice from all of the pulp, seeds, and even foam. The blackberry ‘juice’ is added to a pitcher or carafe, then stirred with some ice cold water. Add the simple syrup in, to taste. 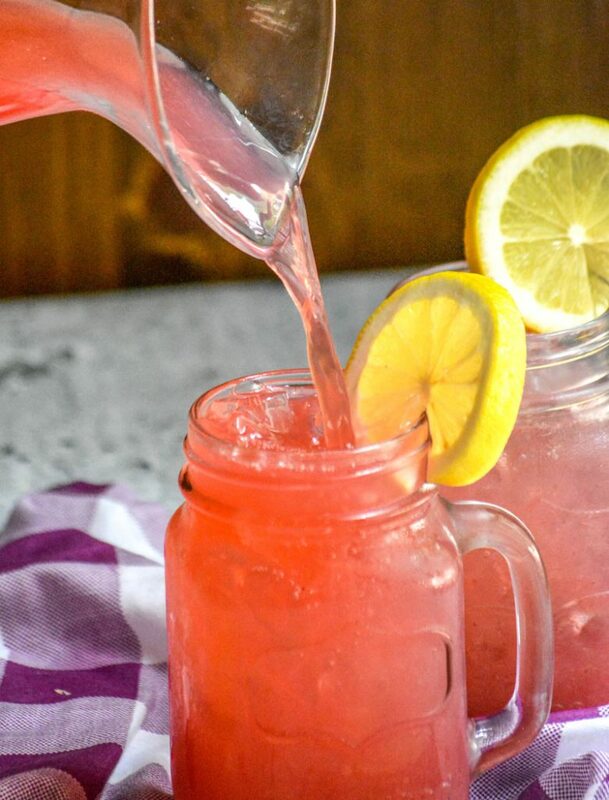 We like our lemonade on the very sweet side, so we use all the syrup. If you aren’t sure how you take yours, your best bet is to add a little bit at a time and taste test as you go. Make it as-is, or add in a splash of vodka for a tasty cocktail, because (let’s be honest) nothing quite beats the heat like a bright, refreshing, and flavorful adult beverage. 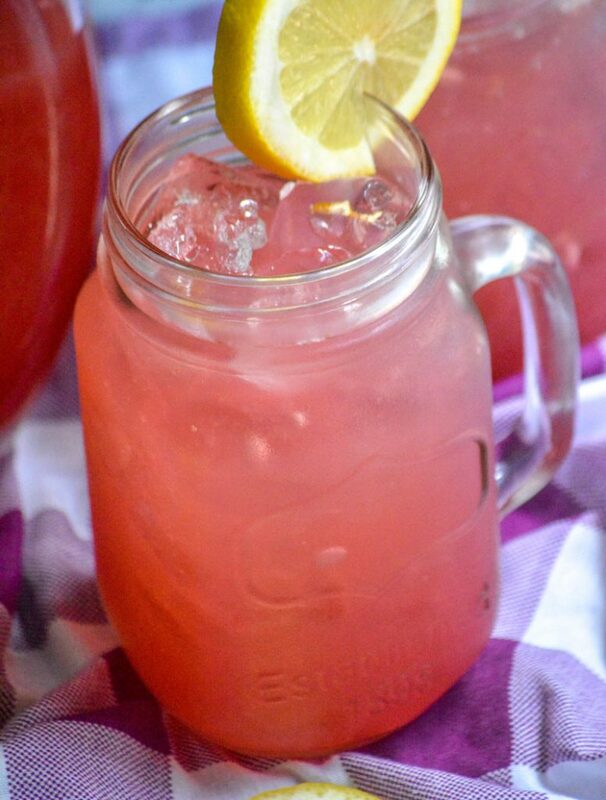 You can’t find a better way to beat the Southern Summer heat than with this refreshing Blackberry Lemonade. 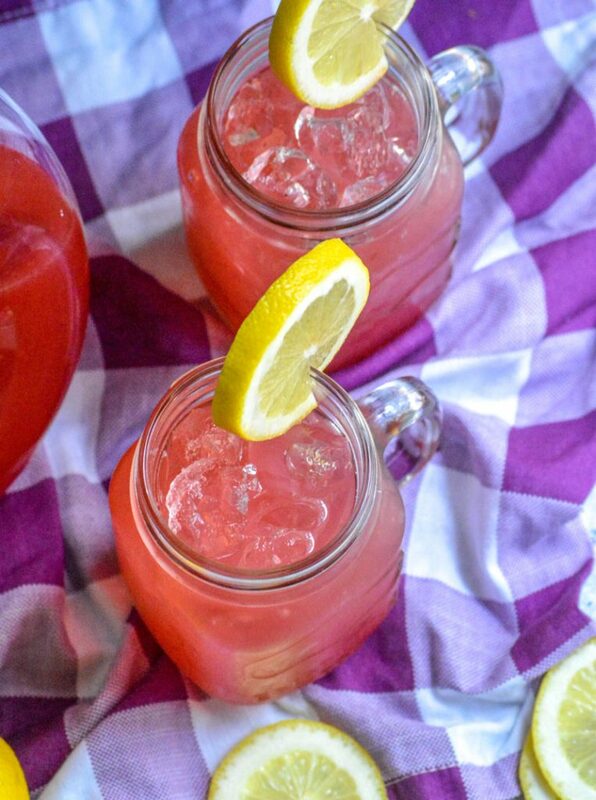 Whether it’s the adult version, or the Shirley Temple version, you can’t go wrong with this recipe. 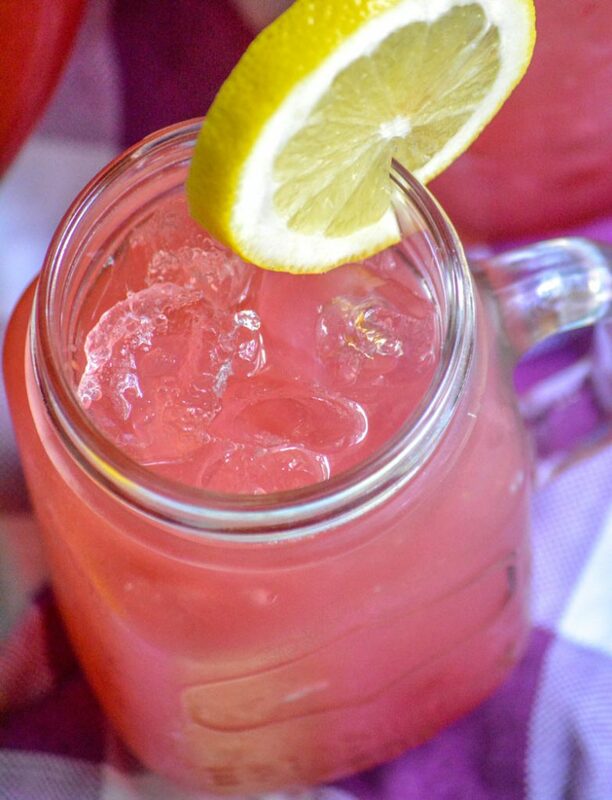 Other Drink Recipes You Might Also Enjoy: Tropical White Wine Sangria, Copy Cat Tropical Smoothie Blimey Limey Smoothie, Grilled Peach Infused Sweet Iced Tea, & Sweet Black Cherry Limeade. 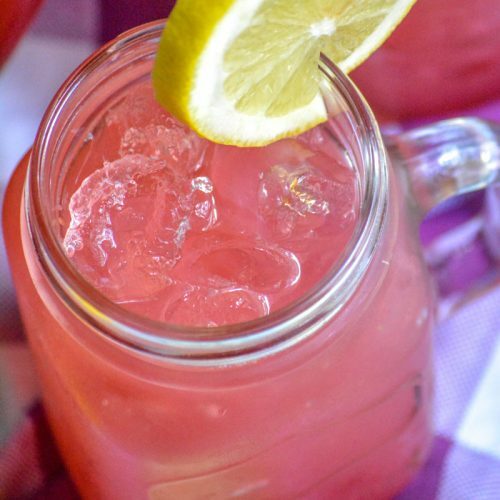 A sweet way to beat the Summer heat, you can't go wrong with this blackberry flavored lemonade. Prepare a simple syrup by combining the cup of sugar and the cup of water in a small pot on the stove. Bring to a boil and stir to dissolve the sugar. Allow to cool completely and then set aside. 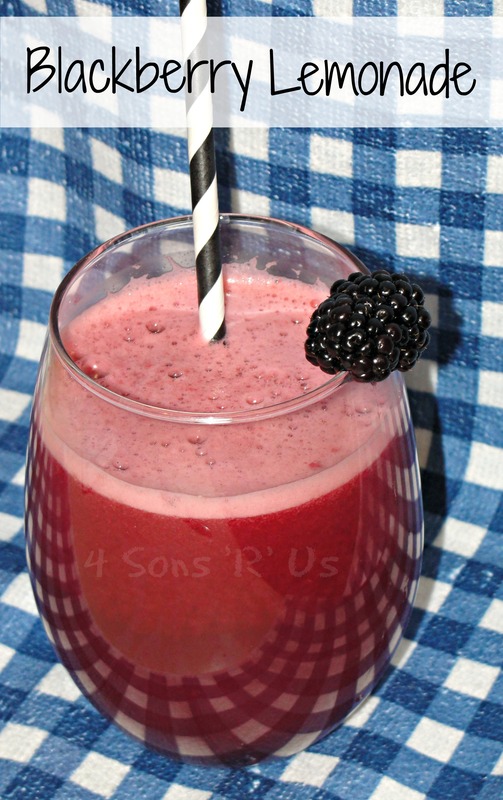 Add the blackberries and lemon juice to a blender and blend until the blackberries have pureed. Strain into a clear pitcher. You’ve got to strain it to remove any chunks of blackberries left and seeds. Add the remaining amount of water to the pitcher. Stir to evenly combine. Add simple syrup, to taste. Serve over ice, or chilled, and garnish (if desired) with mint leaves and a blackberry. We think so 🙂 Gotta get those antioxidants in! My very first blackberry just ripened!! (I have waited 2 years for a darn berry!) This is the perfect recipe to use when the rest of the blackberries are ready! Perfect for summer, too! What a great recipe and awesome pix! Thanks, Lisa! We like it, and it’s our favorite way to use up blackberries. We don’t grow our own, but I find great deals on them at the local farmer’s market when they’re in season. 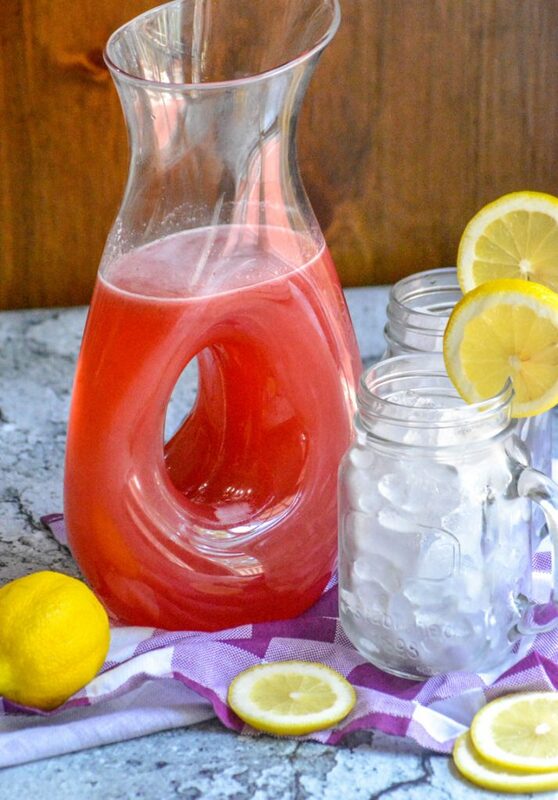 Hi Meaghan, I LOVE lemonade so I’m really loving this recipe. 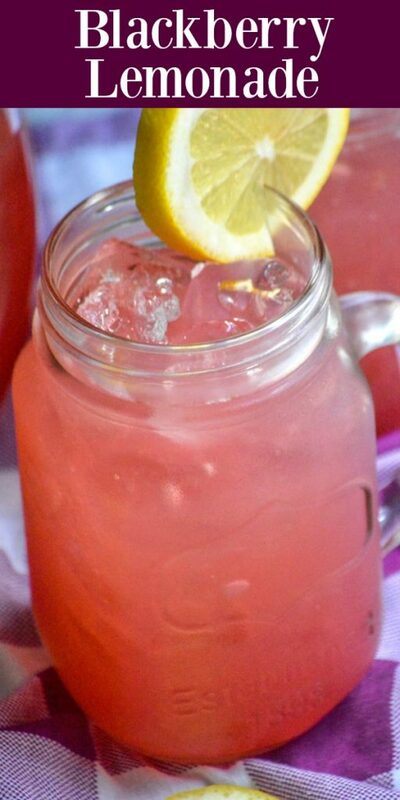 Thank you for bringing this lemonade to FF, have a good weekend! We have fresh blackberries @drakefarm so I can’t wait to try this!!! Beautiful colour! I bet it’s delicious. 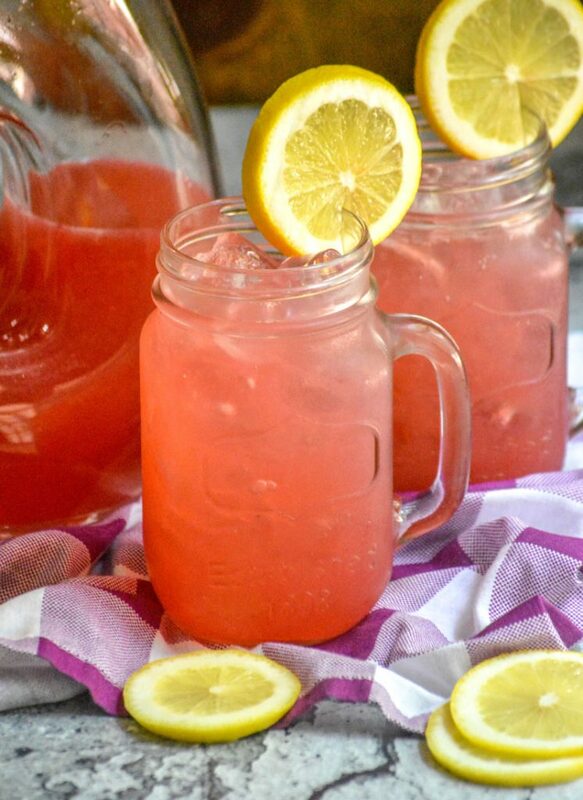 This looks so refreshing – not to mention beautiful! What a lovely color. Thanks for sharing this at Fiesta Friday! It really is a perfect Summer thirst-quencher. I agree, the color is stunning and makes for a great presentation at parties & barbecues.